Robin Strasser will be staying in Llanview! 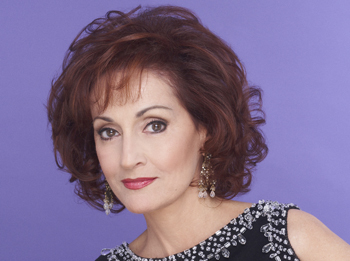 One Life to Live’s Robin Strasser has announced she is staying in Llanview. It has been a nail biting couple of weeks for fans of the ABC soap opera as it was unsure if Robin was going to re-sign a new deal. Budget cuts have taken their toll on the Daytime genre over the past several months and it is uncertain how they will effect those who are nearing contract negotiations. Strasser, has been portraying wicked Dorian Lord for 30 years, stepping into the role in 1979. Robin has received four Daytime Emmy nominations (1981, 1982, 1983, and 1985) for her role as Dr. Dorian Lord. In 1982 she won a Daytime Emmy for Outstanding Actress in a Daytime Drama Series for her work on the ABC soap.